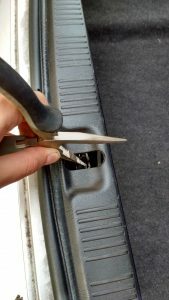 Cut a length of the LED strip along the cutting points to your desired length. Solder the two wires to the LED strip and heat shrink them. In my case I soldered to the pre-existing wires. 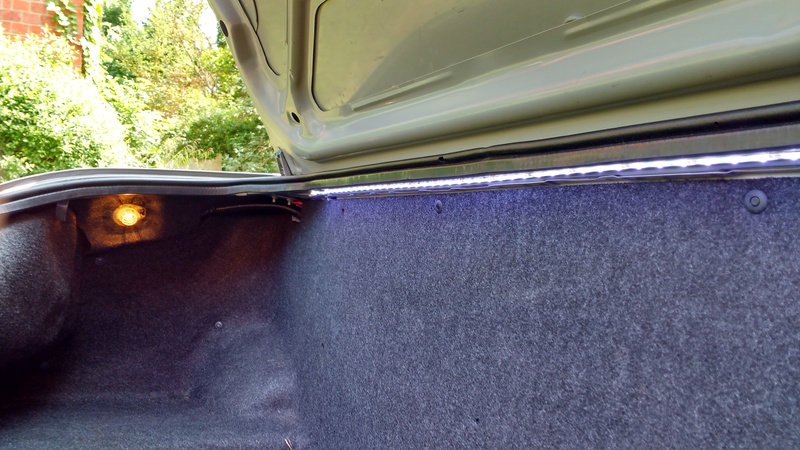 Place the LED Strip in the boot and run the positive and negative wire through to the courtesy light wires where the self stripping cable connectors will be used. With the wires roughly laid out peel off the back of the LED strip exposing the sticky back and stick it where you want it. 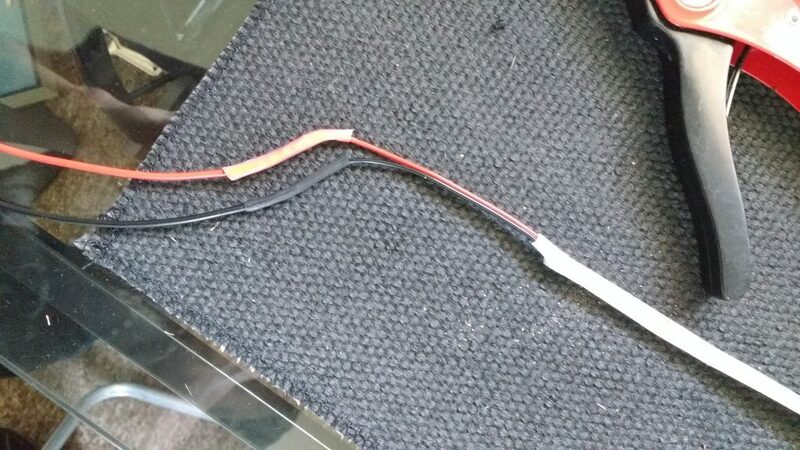 Put both wires into the self stripping connector and use the pliers to clamp the metal plate down on the wires. Clip the securing arm down. 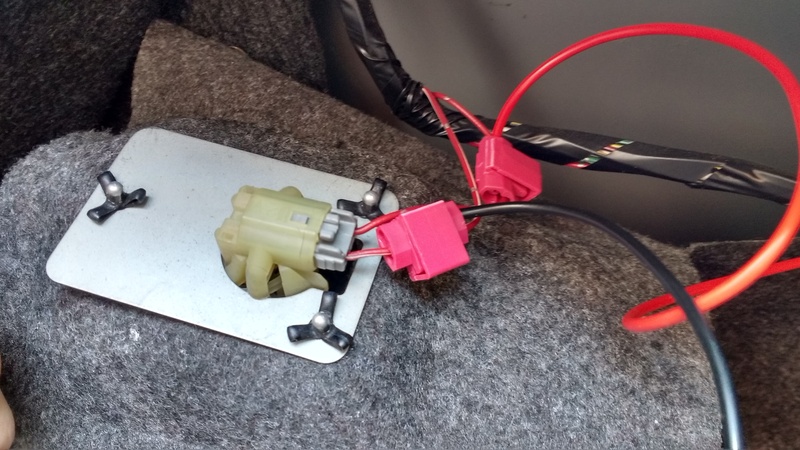 If you are paranoid (like me) and want to make sure the lights go out when the boot is closed, the light switch is part of the latch mechanism. You can use long nosed pliers to push the clip down as though the boot is closed and all the lights should turn off, if you clip the leaver down you will need to release it again by using the key or driver side leaver. 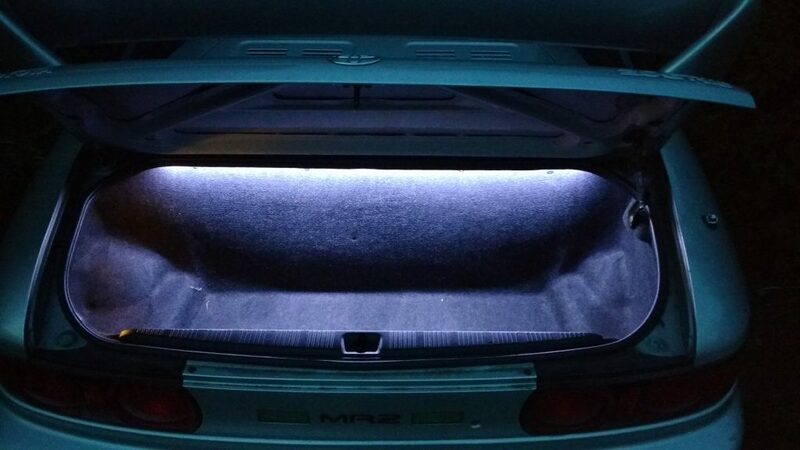 This entry was posted in Car, MR2 and tagged boot light, car, courtesy light, diy, mr2, mr2 mk2. Bookmark the permalink.